DayStarr Communications, a high-speed Internet, TV and phone service provider. 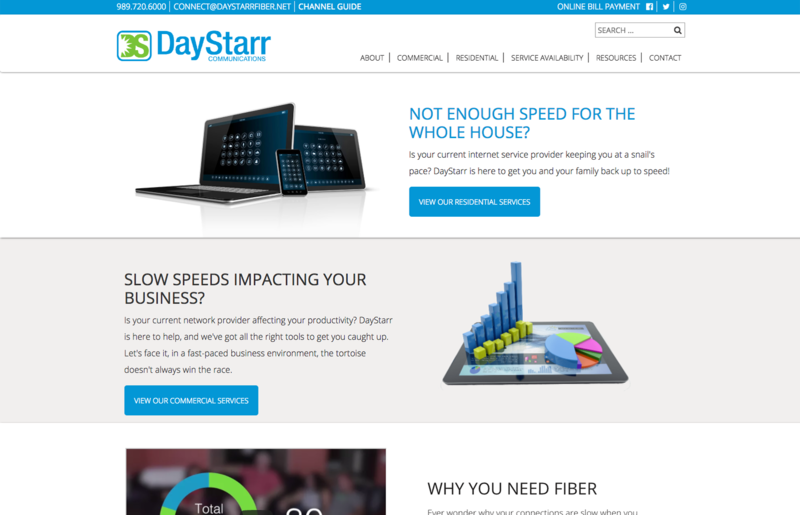 Founded in 2001, DayStarr Communications provides the fastest and most advanced fiber-based communication services the area to businesses and residential customers. We designed and developed a new website for Daystarr on a WordPress platform so that they could take care of the ongoing maintenance of their site, in-house.